How do I book a speaking engagement with Shay? Thank you for your interest in booking me for your next event! My goal is to make your scheduling process run as smoothly as possible. Inquiry Call: Give me a call at (323) 596-1843. My schedule fills quickly and I have limited availability each month for travel outside of Los Angeles, CA. Please call to discuss your event and whether I am a fit for your objectives. During this call, we will also discuss your budget and my fees. I cannot guarantee that I will be available for your event until I receive the signed agreement and deposit (see below). Contract & Deposit: After you confirm that you are ready to move forward with scheduling and booking me as your speaker, I will send the speaking agreement and invoice. Your organization’s authorized representative has no later than fourteen (14) days from receipt of the agreement to send the signed agreement and your non-refundable 50% deposit, plus travel fees (if applicable), made payable to Bigger than Your Block. I will not hold the date or consider your event date confirmed until I receive your signed agreement and the deposit in full. Release of Publicity Photos and Bio: After I receive your signed agreement and deposit paid in full, I will send my photos and bio for use in organizing, advertising or promoting a contracted speaking appearance. Pre-Event Questionnaire: I will send you a detailed Pre-Event Questionnaire to help us design and deliver a successful event that meets your goals and the needs of your audience. The questionnaire provides information about your objectives and logistical aspects of your event. Pre-Engagement Phone Meeting: After receiving your Pre-Event Questionnaire, I will talk with the meeting planner and key contacts prior to the event to aid in the preparation of the presentation. Development of Presentation(s): I will prepare a presentation to meet your event objectives as discussed with your authorized representative. Balance Due: The 50% balance of the speaking fee is due on-site the day of the event. Shay Speaks at Your Event: I will deliver the speaking and appearance services described in the Agreement. 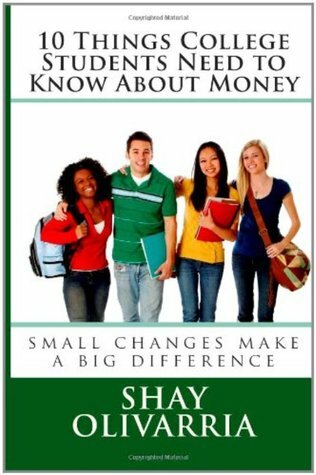 Shay’s fees are customized for each event depending on the specific request, location, length of the presentation, and requirements. My fee structure includes various options to fit different budgets. Please note that fees quoted during the inquiry phone call are only valid for 30 days and the same rate is not guaranteed at a later date. The fees quoted in the speaking agreement supersede and merge all prior oral or written conversations and understandings and are valid for 14 days from receipt. In addition to my fee, you will also be responsible for my travel expenses if I need to travel to your event. What Payment Methods Does Bigger Than Your Block Accept? Can Shay Hold an Event Date? A non-refundable deposit (50% of the speaking fee + flat rate travel fee) is required prior to the event to secure the date, guarantee my participation, and release my publicity photos and bio for promotional purposes in association with the scheduled presentation. Shay has limited availability for speaking engagements — especially if travel is involved — so don’t delay in submitting your request! If I am available for your event, the deposit and signed contract must be received a minimum of 30 business days before the scheduled presentation(s) to allow sufficient time for planning, making travel arrangements, processing, discussing the details of the event, and preparing the customized presentation(s). However, it is best to contact me 3-6 months in advance. I would like to bring Shay to speak to my group, but we have a limited budget. Is Shay’s speaking fee negotiable? I would like to provide financial education for every student that is interested. I am willing to help you explore creative options for funding my programs. Can I make an audio or video recording? I have spent about nine years researching and honing my presentations. Written permission must be obtained prior to the event if you want to capture my presentation or post photos or recordings on web sites. Depending on the use of the recording, additional fees may apply. Can I web stream Shay’s presentation? Written permission must be obtained prior to the event if you are considering web streaming any portion of Shay’s presentation. Does Shay work with different age groups? Yes! Shay speaks to adult and youth audiences. Participants are typically ages 9 and older. Find out more about our speaking programs. How long are Shay’s presentations? My workshops are 45 minutes – 1 hour. I can also deliver 1/2-day and full-day presentations. Please let me know more about your event and objectives to make sure that I can provide what your audience needs. Can Shay incorporate specific topics into her presentation? Yes, I can customize presentations to meet the needs of your audience. Additional fees may apply. Find out more about our speaking programs. What are Shay’s speaking requirements on the day of the event? To ensure that your event flows smoothly, I will provide a detailed event rider prior to your scheduled event. We’re ready to book Shay. What is the next step? Give me a call at (323) 596-1843. I look forward to speaking with you!